Rising from the "Where Have They Been" file is legendary Boston band Mass. It's been eight years since their last studio album, Sea Of Black. 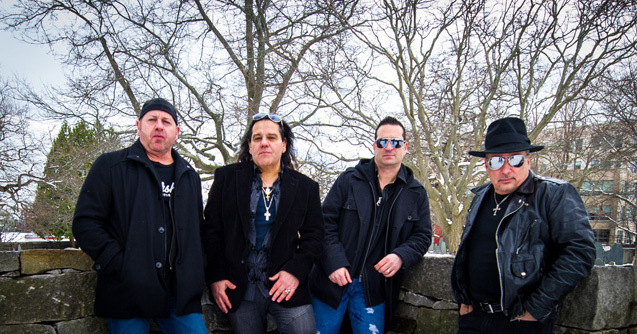 Still featuring two founding members, vocalist Louis St. August and guitarist Gene D'Itria, Mass returns with their eighth long player, When 2 Worlds Collide. Nearly 40 years on, and Mass sounds as good as ever. Blurring the line between melodic hard rock and metal, When 2 Worlds Collide may be their most consistent and satisfying album to date. As a vocalist Louis St. August continues to sound strong and smooth in his melodic delivery. Guitarist Gene D'Itria also thrives with his consistently thrilling and tasty guitar solos. For the songs, if you can't find something to enjoy here, you're either tone deaf or dead. You have some fine melodic metal rockers with Just Can't Deny, Revenge, and the title track, which features a synth and guitar solo about three quarters in. Alternatively, you'll find Mass veering more to straight heavy metal with Some Time Ago and Turn It Over, driven by a strong bass line from the start. 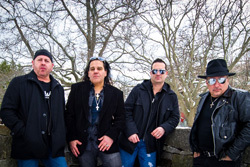 With a touch of Hammond organ, Falling In Love rises as a catchy melodic rock anthem. For a ballad, there's Second Hand Rose, which turns on St. August's voice accompanied by a fine piano line and synths. Another AOR arena anthem comes with Stand Alone, with Stryper's Michael Sweet delivering the guitar solo. Suffice to say, Mass' When 2 Worlds Collide is an exceptional album of melodic hard rock and metal, perhaps even their best album to date. Easily recommended. 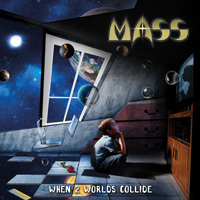 Mass' When 2 Worlds Collide is an exceptional album of melodic hard rock and metal, perhaps even their best album to date. Easily recommended.